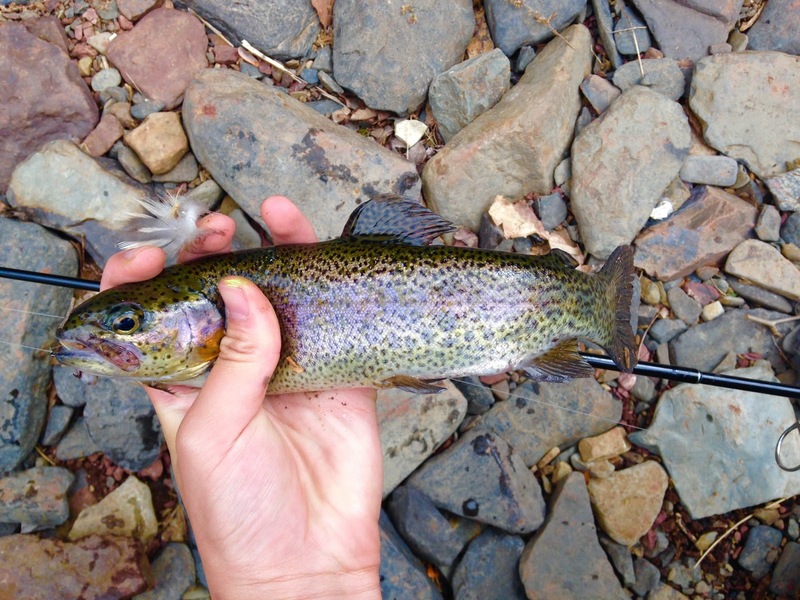 Last Saturday I decided to head over to my favorite stocked trout stream to see if I could get some of those tasty little buggers for the dinner plate. Upon arrival, I noticed two other anglers fishing. I had hoped to fish without the usual crowds of stocked trout fishing, but this wasn't too bad. Last year, I limited out in half an hour, so my hopes were pretty high. 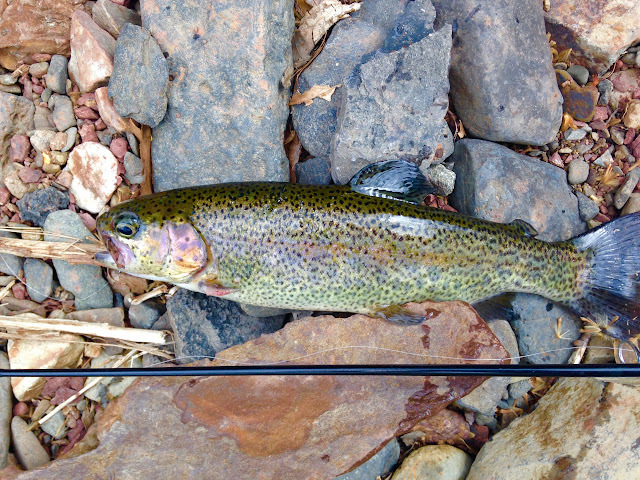 I was using Berkley powerbait, and one the first cast, I hooked a trout. This would be easy, I thought. These fish were much more wary than before, and my first fish first mouthed the bait to feel it, then spit it out and attacked again. 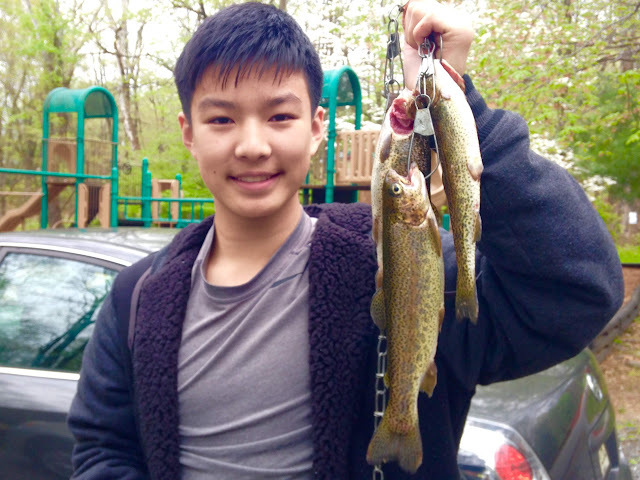 After that first fish, I tried an assortment of baits and lures: I tried gulp, jigs, trout magnets, spinners, kastmasters, even tried drifting a live newt I found under a float. That last one got several strikes, but I couldn't connect. The spinners and kastmasters got follows, but no takers. 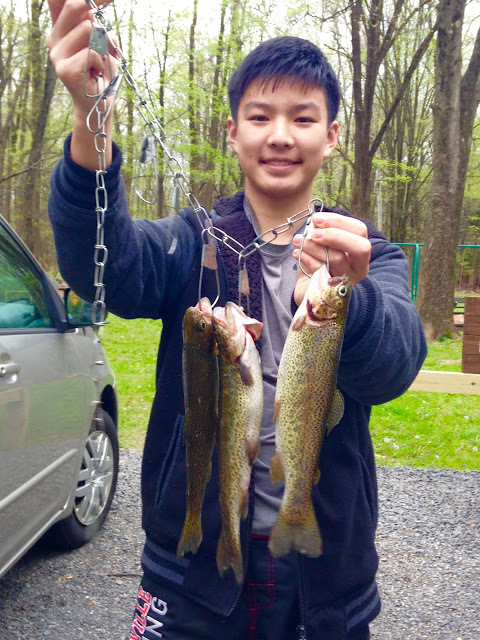 I ended up catching two more trout in 2 hours before calling it a day. 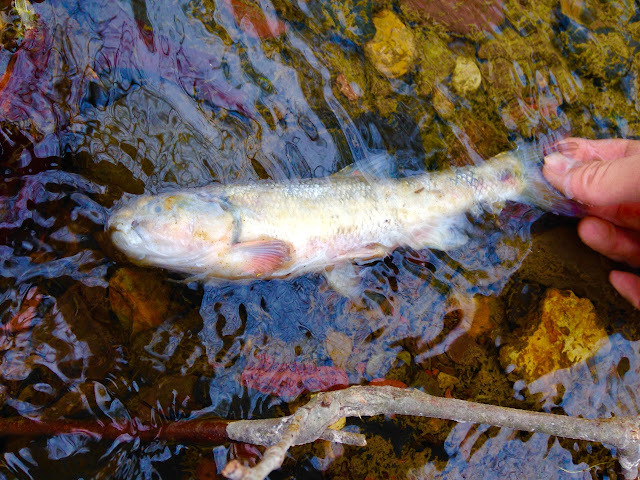 On an interesting side note, I found a massive creek cub worn out from the rigors of spawning. Not a limit, but will do. Later, I prepped the trout for cooking, by cutting off all the fins, scaling, and gutting it, making sure to remove the bloodline and the gills. 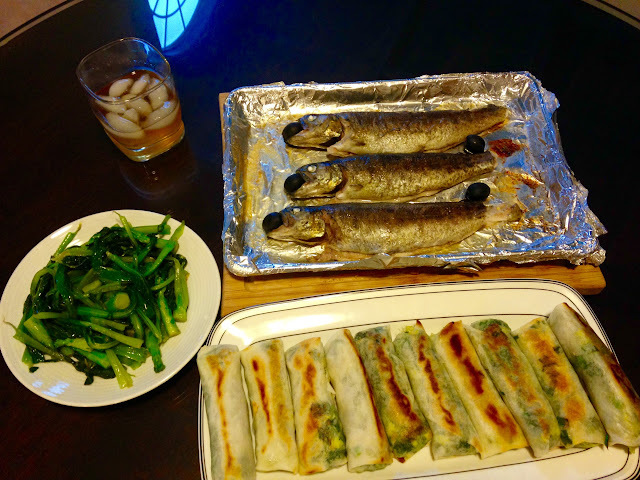 I like to cook my fish whole, as it saves a lot of meat, especially on small fish like these. This time, I wanted to try something new, and I decided to oven bake them. 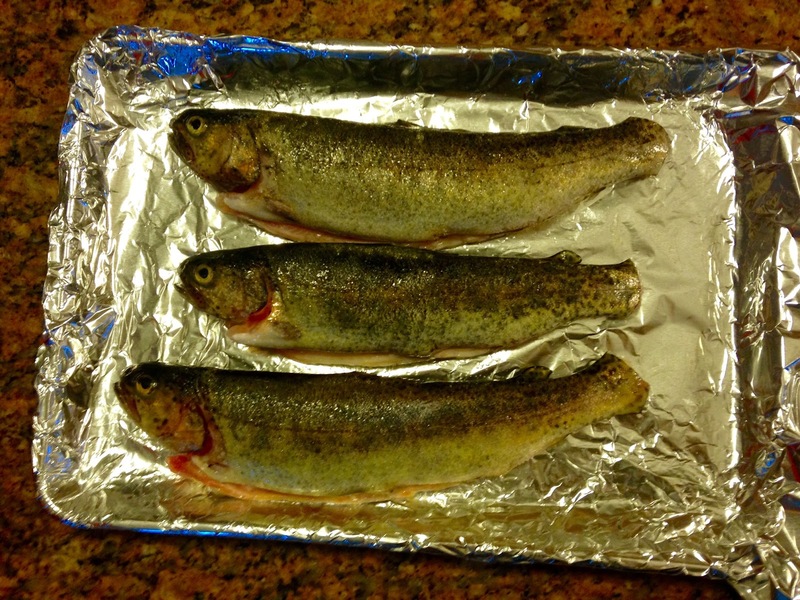 I wrapped a metal oven sheet with aluminum foil, and placed the trout on top. 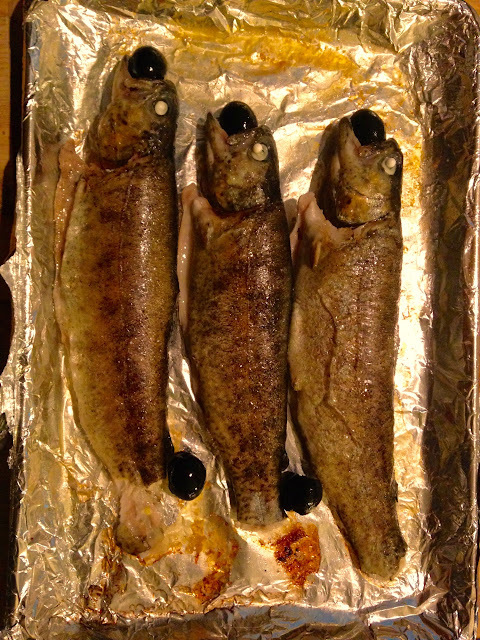 Salt and pepper were rubbed into the fish, and a bit of rum was drizzled over for flavor. I covered them up with the rest of the foil and stuck them in the oven for 25 minutes at 375 degrees. Where has all the time gone?